Is there a typo on the site or are there several mogule base sizes? The article starts off by defining E39 for Mogul & E26 for medium base, while later in the article E29 is also referred to as Moguul base. Sorry for the confusion. Our mistake. E39 is Mogul Base, while an E29 base is known as the medium screw. Thanks for catching that! Do you have a source for a CLF replacement for a 3-way 100/200/300 mogul base lamp? I have several antique lamps that take these old monster bulbs and I would love to update them, but do not want to give up 3-way capability. Clif, thanks for the feedback! Unfortunately, we don’t have any 3-way mogul base bulbs. 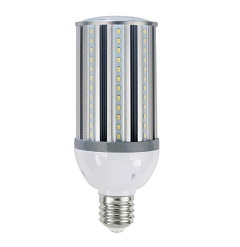 The mogul base CFLs that we carry are all of the single-wattage variety. You said that you only carry single wattage mogul base cfl bulbs. But do you know of a source for a 3 way mogul to d=reduce to a 3 way standard? Richard, we unfortunately do not have a list of stores selling these converters. We can say there are a number of retailers, primarily online, who sell them. We suggest doing a quick online search for them and a list of stores selling converters as well as the prices they are listed for will come up. The ONLY one I saw so far. Please advise if you find them cheaper. I too am unable to locate 3-way mogul converter. Despite ongoing search I’ve had no luck. I was told “U” stands for universal burning position not Mogul base. We aren’t aware of a bulb base in between those two. It could be that the bulb was custom made for that specific fixture. Your local hardware or home improvement store may carry an adapter that screws onto the base of a standard-sized (E26) base bulb that will allow it to be used in a fixture that is for use with a larger base (E39) bulb. Anyone have any luck finding one? All you have to remember when reading product descriptions is this: the “U” in, for example, M175/U/MED and MH1000/U/BT56, stand for mogul base. The “U” stands for universal burning. which means the lamp will work when mounted either horizontally or vertically. 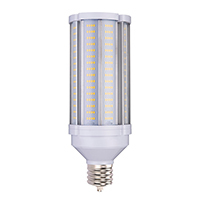 the M175/U/MED is a medium based lamp. The MED means medium base. 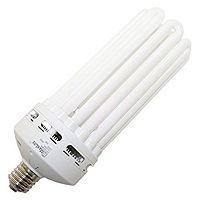 I have a M90 100 watt bulb and can only find a bulb with 4200k and lower.Can I use any other bulb in place of the m90?I’m looking for higher k.
An adapter should work. We don’t carry that particular kind of adapter, so we can’t guarantee that it will unfortunately.